In Chapter 14 of his wonderful book Think First, Move Later, Willy Hendriks takes objection to the well-established idea of critical moments, with a direct reference to my book Excelling at Chess Calculation (Everyman 2004). Obviously I am honoured to be the antagonist in a full chapter of Hendriks book, even if he does not elevate me to the level of a Bond villain. Especially because he initially represents my explanation of what a critical moment is rather truthfully. 13…Bd6? was played. Instead Black could have won in one move with 13…Nb4, as had indeed happened in a correspondence game in Canada 1992. This is where the reference to last week’s posting becomes relevant. We are clearly not talking about the same thing! A critical moment is not where the evaluation of the position changes. Classically this is referred to as a turning point. A critical moment in my definition is something along the lines of a moment where the problems in front of you hold great complexity and failing to find a good move will a) lead to great suffering, or b) lose the advantage. The comparison by Hendriks of the two positions is plainly ridiculous. In my game clearly there were deeply complex problems to solve, while in the Jens – Berg example, we are simply left wondering how two 2350 players both fail to spot a one-mover. Anand was clearly disappointed when he had looked at 10…c4 for a few minutes. His fantastic preparation was refuted over the board. Did Gelfand understand it was a critical moment immediately? No, obviously not. But after some minutes he realized that there were poor positions waiting for him everywhere. He did not believe that he had made any mistakes, so he decided to “gamble” and invest the time necessary to find a solution. I do not like it when the debate is ruined by one side misrepresenting the other and then talking down at them. Is this related to the Dunning-Kruger effect, which Hendriks himself refers to on page 213? Usually when we make a simplistic refutation of another person’s position, we have not fully understood it. Or it could be that Hendriks wants to make the point that all moves seem critical for less experienced players? But how this is relevant to a book on high-level calculation techniques I am not really sure. I do find that Hendriks draws too many comparisons from modern psychology into chess. He comes across as better read in philosophy than in chess theory, but clearly he is an intelligent man who has thought a lot about chess. I do not agree with all of his conclusions and ideas, but I would certainly recommend this book to anyone who is interested in chess improvement, with the caveat that you should always get a second opinion; and preferably a different one! Interesting read. To me, it seems ludicrous to dismiss the idea of critical positions. To insinuate that all decisions in a game are equally important is just misguided, and there are most certainly positions which not only require more time, but also who’s impact on the game is proportional to time needed to work out the details. Your game and the Anand – Gelfand game are perfect examples! I think that is pretty much the case. Hendrik writes his book from the perspective of a trainer of beginning or at least pretty weak players. A lot of the stuff he says makes much more sense when you put yourself into the perspective of a 1500-player. Which doesn’t exonerate him from misrepresenting said maxim. Still, a great book, one of the most entertaining chess reads I know. Willy Hendriks explains in chapter 14 that trainers should learn their pupils not too spend a lot of time on positions which they believe are critical as they lack the skills to play afterwards controlling moves without much thinking (contrary to masters). The big lesson from this chapter is that unexperienced players shouldn’t be teached thinking of critical positions in the same way as masters before they can play/control the rest of the game like masters. The worst teacher I once heard about critical positions, was somebody claiming that move 12 and 25 should always be executed very careful as these moves represent the moments where serious decisions have to be made. It is possible this is what Willy was aiming at. But what has this got to do with my book? In general Hendriks go after high and low level (audience aim, I mean) books in the same way. But this brings me back to the point of last week’s post and this one. Can we please agree what we are talking about before we criticise each other :-). Hendriks absolutely had the chance to write that “for players under 2000, everything is critical”. But he chose not to. As his book is really well written, I think this was a choice and not an omission. But my book is by no means aimed at 1200 players – and this is what he is engaging in a debate with. I seriously doubt that any 2100s will have a shot at finding 19.Bf5. But other moments will be critical for them and to understand when they should invest 20-30 minutes and when to play on feeling is a useful lesson that will last them all the way till when Bf5 becomes a piece of cake for them. I do not think you can say that all moves are equally critical for anyone. Nor do Hendriks in his execution is describing life for under 2100s only. On the contrary. Btw. Nakamura recommended the book on his twitter account, which clearly shows that people over 2100 are interested too. (Obviously I have recommended it and continue to do so, despite some disagreements. Basically I trust that people who can read have a certain amount of intelligence!). It is true (I think) that it’s no use spending 50 minutes on a critical move, only to throw away your won position later on because you lack the technical skills to win a won position. In my opinion your chess development should be kind of balanced, i.e., you should also improve your technical skills, positional skills etc. at the same time. In that case in my opinion it makes much more sense to spend substantial amounts of time to a critical position – if you lack the technical skills it seems more a recipe for time trouble. That’s why I love Yusupov’s series; it handles all areas of the game. That being said, I agree with Jacob that Willy seems to phrase his points a bit too simplistic (my own words) in the quoted text. “for players under 2000, everything is critical” as the reader could understand this from the concept of the book. If you have made 17 moves in 15 minutes and suddenly your position is close to hopeless if you find nothing. Should you really only spend 20 minutes, play something bad and then hope that your opponent will play badly later? It makes no sense to me, but each his own. a) I think this argument fails to a simple test. But I do not want to spend energy proving it, as it is self-evident to me. b) Hendriks means exactly what he writes in his book. As I mean what I write in mine. And he does not write what you say. If he means something else, I am sure he will make it clear. But until he says exactly this, I think he got this one wrong (and a lot of others right). This is exactly a topic I would like to see dozens of exercises on in a QC book. 😉 When to have a longer think and when to just play a sensible move which connects to the stuff you’ve played over the last couple of moves?! I’m not aware of a single book which spends more than a few pages on this. 3 examples aren’t enough to really train it. As very often, chessbooks are very unclear for whom they are written. Your book “Excelling at Chess Calculation (Everyman 2004)” doesn’t mention on the cover anything of the targeted audience but neither does MFTL from Willy Hendriks. So it is easy to understand that misinterpretations are made about the targeted audience and by consequence people are buying the wrong books. Now I fully understand that authors want to sell as much as possible so don’t like to mention any disclaimer on the cover to scare some potential buyers away. Likely Willy Hendriks saw that some of his students (below 2100) were reading your book but in fact were not ready to profit from the thinking concepts explained, at contrary were developing a habit for timetrouble and losing extra points. This doesn’t mean your book isn’t useful for players e.g. between 2100-2300 but simply that for most trainers (95% works with players below 2100) it is better to avoid recommending this book. Willy Hendriks neither states that all moves are as critical. However he does say that many more moves are critical for less experienced players than for more experienced players. So the stronger you are, the less critical moves. As consequence, the stronger you are, the more time you can and should spend on the critical moves. Telling students to spend the same amount of time on critical moves as masters, is nonsense. Willy Hendriks book gives a view on how masters think (some aspects). In this sense you are right to say that it is not only about life below 2100 rating. However Willy Hendriks gives this view on the masters to indicate how training should develop for the unexperienced players. He doesn’t give this view on the masters-thinking so that inexperienced players will just copy it (e.g. the automatic moves) as clearly they can’t at this stage. I mentioned in my first comment already and have explained in detail on my blog (see bottom). MFTL is written in the first place for trainers whom are teaching pupils between 1200-2100 like Willy Hendriks himself. So yes this book is certainly for players above 2100 as often they will teach players in the range of 1200-2100. Myself I am rated +2300 fide and found it a very interesting book although I am not giving any trainings today. I have great interest in psychology so was not at all annoyed by the many comparisons with modern psychology. Likely Nakamura shares the same interest as I can’t see him giving lectures to students below 2100 rating. You’re right of course – this doesn’t make sense in the situation you’re referring to! If the situation is already close to hopeless of course it’s best to do an extreme effort to safe your game. I was thinking more of less extreme situations. I know people who regularly spend half an hour or more on what they claim is a critical position and then more often than not lose in a time scramble. But surely you didn’t have Ivanchuk in mind when you made your remark :-). The GM Preparation series is clearly aimed at (close to) IM’s aspiring to become GM which would indeed make them not as useful to 2100 minus players as some other books (like first finishing the Yusupov series and then e.g. Attacking Manual). Still there seem to be a lot of lower rated players studying these books, but it’s not like Jacob didn’t warn them :-). Regarding this over/under 2100 in rating. I really think that it is somewhat dubious to say that there are different ways of thinking over and under 2100. I just think the ability to solve problems is lower. For many reasons. But never mind. The other side of the coin is clear cut. Either what I am saying about critical moments wrong or Hendriks is incorrectly criticising my book. He wrote what he wrote and he is very welcome to disagree with me and say so in writing. But as long as he has not qualified it, he is criticising the classical idea of a critical moment. The idea that somehow he does not mean what he writes is just weird. What next? No dinasaurs; God dug down scheletons to confuse us? I agree, the title GM Preparation series is pretty clear about which public is targeted. Willy Hendriks in MFTL is not attacking those type of books as he is pretty sure no trainer will advise these books for their pupils (in the range of 1200-2100). When i was a total beginner (around 1992), I bought from Jan Timman: Schaakwerk 1 Analyses en studies: http://schaken-brabo.blogspot.be/2012/05/eindspelen-met-een-kwaliteit-meer.html Besides the stories, it was completely impossible for me to follow/ understand. I mean very often players are buying books which are simply wrong for their development. So if we not only look to the sales but also to the happiness of the readers then I recommend a disclaimer on the cover stating which public is targeted. I put the bar on 2100 but obviously this is just arbitrarily. I estimate from that level onwards, most players have a reasonable control of their play so that blundering pawns/ pieces becomes rare. He makes a similar remark like you now. I quote: “The author will tell you the secret (yes, another “secret”) of how to just toss out a move and bash-bam-boom, it’s the right move! How cool is that? ” Also here you can say, well the title says exactly that so he wrote what he wrote. Well if you read the book then never he is mentioned that playing without thinking is the right approach at any time. As I mentioned earlier, this book is not a light read as some reviewers wrongly claimed it is. I read some pieces even twice to better understand what the writer exactly meant. In fact I feel you are taking up MFTL too much as a personal attack while I see it more as complementary. Your book starts (+2100) where MFTL stops (-2100). By the way, critical moments are well explained also in Rowson’s “The Seven Deadly Chess Sins” and every “classical” trainer explains the concept to his students. Different level of students can use this concept of a different way, but in my own students i always get angry when they play too quickly and shallowly in critical middlegame positions with so much time in their clock. I never thought that this is the correct thing to do in order to have plenty of time later to save a hopeless endgame! It is obvious to me that WH wanted to say this (more or less): “Botvinnik tought people how to study chess, but today so many new GMs are popping out before their 20s, so something has changed in the process”. At least this is how Sune Berg Hansen got it after reading the book and tried to explain it to me. I don’t see anywhere in MFTL that the author states a student shouldn’t use its time. Pages 139 and 140 clarify chapter 14 (also mentioned by the author). The first minute you see the most important things while beyond 20 minutes thinking rarely brings extra profit. So contrary, WH wants at least the student to spend 1 minute per move (no moving before thinking) but claims rightly for unexperienced players spending a lot of time on some moves has often a reverse effect on the final result of the game. WH states on page 192 that the increase of new GMs is related to knowledge and competition available to everybody. This is not the same as stating new methods of studying are available. Well, regardless of whether Hendriks criticism is spot on or not, I think “criticial moments” is definitely a potentially harmful concept. Basically I think every timetroube addict has an angel on his right shoulder and a devil on his left. The angel says: You’re spending too much time again, just play Be2 that’s nice and solid, don’t forget the last game where you had 38 seconds for 13 moves! And the devil whispers: But you won that game and against an IM no less (true story ;-)) and anyhow … IT’S A CRITICAL POSITION! Also I’m pretty sure that I have never made a good move after more than half an hour thought. After 20 min I either have it worked out or I’m increasingly confused and clueless. You can make everything sound harmful, but manipulation of the concept is not a powerful argument. IN my experience time trouble addicts spend all there time in simple or complicated positions, not in positions that HQVE to be solved. To fantasize that some people might indulge in a bad habbit and use classical teaching as an excuse is not a convincing argument. Regarding the 20 minutes rule. Larsen said something very similar too, but his main problem was superficiality. Clearly there’s a diminishing return with the time investment. A study based on facts and statistics would be interesting. But clearly a 20 minute rule is as stupid as any othrr inflexible rule. Rather it makes sense to study ones time expenditure, based with the quality of decisions. Hendriks is a self-declared time trouble junkie, it would be interesting to see if his problem is in positions with a big difference in value between the moves, or with little. My bet is the latter. Well, every rule is somewhat inflexible, otherwise it wouldn’t have any content. My argument is that the 20min-rule is probably useful to a greater number of players than the critical move concept. And it’s no fantasy that the critical move rule is the most common excuse of time trouble addicts, that’s just an observation. I don’t say that there aren’t players who profit from the c-m-concept. I’m just saying that I’m not one of them. But I guess in the end, like with many debates, it is just a question of degree. After all everybody uses the c-m-concept in some way, even if he never heard of it. As mentioned in MFTL, the classification of simple or complicated position very much depends on how strong the player is. If we train some students, we always need to keep in mind their abilities and not think what we as masters are considering simple or complicated. In the view of the non-master we have many more critical positions so it is wrong to treat a critical position for a non-master in the same way as a master (which lots of book do). There is no 20 minutes rule in MFTL. WH only states that after long thinking, it is far from clear if the return is positive, especially for unexperienced players. WH explains very well why he is a self declared time trouble junkie, see page 141 of chapter 16: The sadistic exam. He also explains why it is really difficult to change this habit (unconsciousness). Yes this is based on modern psychology (too many comparisons you told us ??) something the author is specialized in. I am pretty sure that WH is spending too much time on positions where there is little difference in value between the moves. So what? For me this doesn’t diminish the value of what is stated in the book on spending time on critical positions. Kramnik have said the same thing, but uses 30 min insted if i remember correctly. 🙂 Good point. And you konw of course that the Saturn missions to the moon were also fake :-). I think we all agree that in the end it’s about efficient decision-making. If 60 minutes on a single move is the most efficient solution in a particular position, then so be it. On the other hand, these situations should in my mind be rather rare in your games – if it happens quite often that you have to think for more than 30 minutes on a single move, either you are doing something wrong earlier and you need to work on that (e.g. spend more time on earlier moves, e.g. the position just after you’re out of your opening book) or maybe you’re running the risk to develop a time scramble habit. I think we also agree that there are no rules without exceptions. Indeed it would be very interesting to do some scientific research on this. Learning unexperienced players (i guess below -2100 rating) why they should spend a lot of time on critical positions is wrong. Their results will not improve by adopting this thinking method. In worst case this thinking method will cause regular timetroubles and after a while we could even classify these players as time trouble addicts. For me this is clearly the lesson from the chapter but some people feel wrongly the chapter as an attack on their work. I also wrote 2 other comments earlier with links and explanation about this subject but they are still in moderaton so not seen to the public. Fair enough. My experience is that the time spent on not making decisions is where it could be cut, not the time trying to solve concrete problems. If your problem is that you cannot make up your mind between moves that are seemingly of equal value and you therefore end in time trouble, then your problem is not time spent on positions where there are a lot at risk. I really cannot see that the idea that “when there is a big difference between the evaluations of the moves” it is important to invest time, and that “when the moves are of similar value, you have to make decisions rather than work out the details carefully” is a) controversial or b) not applicable to players under 2100 or c) something that is a result of poor performance earlier. Under 2100, a lot of elementary tactics are missed. In positions where several reasonable moves are possible within the same evalulation, they still manage often to play a move which is losing at once. I am not saying a master can’t do that but it is really rare compared with unexperienced players. Exactly because of these misses, we can consider most positions as critical ones for unexperienced players as mentioned in MFTL. If we accept this then we can also conclude that unexperienced players will better score if they use for most moves sufficient time to check the elementary tactics (for which masters only need often just seconds) instead of spending the main part of their time only on moves where the evaluation between the (top-) moves is big. The latest checkpoint column gives 6 stars 🙂 for the …….. “Advanced Chess Tactics” by Lev Psakhis! Well, my hardcover is on the shelf, and yours? As an u2100, this makes sense to me. However, if the a critical moment is one where the ultimate result of the game is likely to change for good (I realize this is not exactly Jacob’s definition, but it seems to have the same spirit), then it is true that the weaker the player, the less critical the moments, because there is a greater chance that someone will make a big error in the future and the evaluation will get randomized again. For a player rated 1000, even dropping a piece is not that critical. That said, the difference is one of degree, and I have certainly benefited on occasion from noticing that there was a big forking of the ways coming up and spending a considerable amount of time on the associated decision. Well this isn’t really relevant in the discussion but just making clear that the definition of a critical move is different that just a position where you think there is a big difference in evaluation between moves. However if we ignore the above positions as critical positions then still there is a big difference between unexperienced players and masters. Masters will be able to solve a lot of positions within seconds by mere recognizing of patterns and very fast calculations. For the masters these positions are in the same category as exchanging pieces, checks,… However for unexperienced players these bunch of positions are not so simple so we again can conclude a magnitude of critical positions compared with masters will need time to pass through succesfully. So I am not deying that more time must be spend even for unexperienced players on critical positions. I am only saying that much less time should be spend on it compared with masters as masters don’t need to spend considerable time on blundercheck in positions with many reasonable moves and have much fewer critical positions to solve. In the end it is likely more simple for the unexperienced player to understand that he better spread his time than teach him about critical positions where 20 minutes will bring better results. Interesting view about critical positions which don’t really exist for very low rated players. However I stated that MFTL is for training players between 1200-2100 estimated so able to play a bit better that just random moves. Probably the 1200 is too low estimated as I doubt WH is training such people. 1200 rated players probably can still benefit a lot from the ‘stapmethod’ which is very popular in the Netherlands and is almost completely based on training tactics. So I believe we can conclude that we are here talking about training people where indeed decisions must be made which have a direct impact on the endresult of the game. I don’t understand where you guys see the connection between “2100” and “unexperienced”. In my country a 2100 player is a top 10% (if not top 5%) club player! On average the 2100s I know either have north of 50 rated tournaments or are talented kids in full training. So “unexperienced” is simply wrong more often than not. Such players are weaker than FMs, etc., they’re lacking certain skills, but they usually have a lot of experience. There is of course no direct link between -2100 rating and unexperienced. 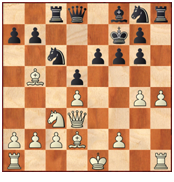 However I started using the terminology after having it heard several times by the Belgian grandmaster Luc Winants. Personally I find it more respectful to call the players unexperienced instead of weak even if this is often strictly speaking incorrect. I also made this clarification on my blog, see article copycats. So we should spend all I time playing chess worrying about blunders? Sorry, it is only the inexperienced that should do this? And if nothing works, we should just play a random move and be happy that we have lots of time on the clock. Well, this is certainly a point of view :-). Actually, the kind of critical moments for u2100s will be like a put for me vs. a put for a pro-golfer. He will just walk casually by and push it in without looking, while I will concentrate hard and maybe even miss. But his critical moments, where he can put it in, are not critical moments for me. I just feel my way and get close enough for the hole to be within my shooting range. The big majority of the games played by inexperienced players (yes unexperienced is incorrect English) are decided by missing simple tactics which have very often nothing to do with spending insufficient time on the critical moments but everything to do with not spending sufficient time on each move for blunder checking. Yes strategical, positional, openings,… errors are made also by inexperienced players but they have in most cases not a decisive impact on the endresult. In fact this is exactly why in MFTL the second diagram Jens-Berg is inserted which you find part of an Austin Powers movie while in reality this is much more often the type of missed opportunities by inexperienced players instead of diagram 1 Aagaard – Ong. Spending sufficient time in diagram 2 is at least as important for inexperienced players (even for some masters it seems) than in diagram 1. Nobody is teaching to play random moves but we are trying to learn inexperienced players to spread their time over the game as much as possible. When somebody teaches about critical moments then we are doing exactly the oppossite: please spend lot of time on certain moves in the game which automatically means less time or worse insufficient time for a lot of other moves. I prefer inexperienced players first to teach adopting a good consumption of the time, keeping a steady quality on all moves. Once they progress and become e.g. +2100 players we can teach them that it can be good to shift lots of time to certain specific moves. I never thought that checking things with a computer is a bad thing for inexperienced players. In fact I even encourage people to do this as it is much better than having no post-mortem at all. Even if you don’t understand everything about what a computer is indicating, still you do learn a few things. Besides I believe it is exactly because inexperienced players lately have been using so extensively computers that we see today so many new IMs and GMs. Many of these inexperienced players would otherwise never had serious feedback on their games as few have access to strong personal trainers. In this sense I’ve never seen computers as a problem but always as an opportunity. If you think games between 2300s are not decided by oversights, you are sorely mistaken. But oversigths often occur when under pressure. Building this pressure is a big part of it. Besides, with this u2100 talk; these two guys are 2350, so again it is not clear that this u2100 talk holds up. But we will see what Willy says. Working with a tool is not a bad thing. But using it poorly can be. You are indeed right that a trainer is not accessible for everyone. Remember that when I write here, I write to everybody at once and often make several points in my postings; not just relevant to the person I answer. We will put up a publishing schedule very soon. As mentioned earlier I am +2300 myself so I will be the last person to tell you that there are no oversights in my games. I also agree that oversights (more) often occur under pressure. I repeat MFTL is a book where we discuss training people whom are inexperienced (so not +2300 players like myself). Those inexperienced players are making a lot of oversights even when there is no pressure. Besides inexperienced players will consider much quicker pressure than masters as they have not the skills to control. I already forecasted your question about these 2 guys are 2350 so why is this relevant for speaking about u2100s. Well if 2350s sometimes miss those simple tactics, do you agree that u2100 will miss such simple tactics much more often? Could it be that u2100 are missing such things every game? I know certainly the lower we go on the ratingscale, the more likely these things will pop up regularly. If we agree on that, shouldn’t it be the first priority of the trainer to reduce the rate of those silly errors instead of talking about critical positions? I can’t read Willy Hendriks thoughts but I would be really surprised if he meant something different. Even if people make regularly wrong conclusions of using engines, I still believe it is much better than using it not at all. Looking back how I developed by using engines, I now realise that I did a lot of things bad when using the engines (there was nobody to correct me) but I also realise that the bad things never dominated the many things learned from it. Same for me about writing to somebody. In fact I always appreciate it when new people join a discussion with fresh ideas. It is certainly a point of view, but there are some generic issues here. a) Players under 2100 might one day be over 2100. Should we not prepare them for that as well? b) Telling people under 2100 that they should make a move even if they have not found one that is playable still sounds weird. How far does this go? A piece for an 1800? A rook for a 1400? Mate in five for a 1000? Calling it critical moment is us doing labelling. That I saw that there are times you need to focus more than others is not in conflict with anything you say. c) If this is really only about 2100s in Hendriks book, why is he involving me and those team mates of his in this? And why is he discrediting the entire idea and not just saying that this is relevant only for people with a certain rating? a) We should first learn basic things well before learning more complex things. If somebody is busy learning the concept of critical moves but in fact is still profiting a lot from spending a minute/move on blunderchecking then this person is trying to run before being able to walk properly. At school we also don’t learn about integrals and differentials till the very last years no? We don’t get it earlier as it will more harm than do anything good to the students. b) I don’t think the concept of a critical position is about finding a playable move. Every player (master or inexperienced) knows that he should search for a playable move or otherwise better can resign. No for me a critical position is a position where different moves look attractive but you realise that the evaluation can be very different without knowing in advance the details. c) A lot of trainers teach inexperienced players to think like masters. In this sense it is logical to show how masters think with their games. Some things WH makes clear to inexperienced players that masters don’t think like trainers try them to believe. About other things WH makes clear that some thought-processes of masters can’t be just copied successfully by inexperienced players as some trainers wrongly try them to believe. a) Using your time healthily is a skill you might as well learn early on. It cannot be compared to “two weaknesses”, which is a complex idea, as an example. Rather it is a useful skill to learn early. In the other things I have learned in my life, they do indeed teach me only the skills I need at my level, but they teach me to do them right from the beginning. The same I would want to apply to time keeping in a chess game. Usually when people talk about time management, they always talk about spending less time. But the idea of the critical moment is that there are time where the investment of time is much more lucrative. If this means finding a playable move (only move – but there might be two of them, we do not have computers at hand when we play to determine this), or finding a win (again there might be more than one, but they might still be just within our reach and thus challenging). This has nothing to do with the fact that tactical awareness can and should always be increased. c) I think Hendriks does not represent the authors fairly. He is picking at them where they are weakest, just as Hendriks obviously exposes himself at times in his book (the same could be done to him). We all write things of less quality from time to time; sadly. There is a theory and practice part to this. Players just starting out are very attracted to verbal explanations and they are hardly helpful. But as they reach 2000-level, abstract ideas can be really useful. If we look at abstracts that make sense for absolute beginners (remember I also teach kids that cannot spot a mate in one) there are some that work. Let us go to page 19 in MFTL. 21.Bd1!? is “just the kind of move chess trainers love!”. WTF :-). If you study my principles of involving all the pieces, we should find a way to bring out Bc1 and Ra1 and for that, Rxg7 is quite logical. That it works is then the practice part. It might not and we have to look for something else. 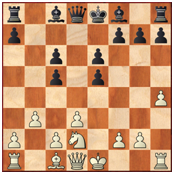 Who are these chess trainers Hendriks apply this love of backwards weird looking bishop moves? I think he here is doing what some other writers like to do: portrait a smaller than life, slightly ridiculous version of people he disagree with, and then make fun of their heigth. The book has great passages, but this one was weak. What he did that most chess trainers (and I say this because I am certainly guilty from time to time) do, which is trust something they have read somewhere and then present it, without checking it carefully first. Often this is a matter of time. But this is the real sin in this passage and the real lesson: chess trainers should make sure that their material is correct :-). Anyway, I have a book to write. Enjoyable as this conversation has been, I will have to call it a day. Brabo, please have the last word – unless Willy wants it :-). In case this has become muddled at any point: Move First, Think Later is a fantastically written, thoughtful book. The fact that there are disagreements between the author and myself does not ruin anything; his views are clear, interesting, progressive and compelling. Reading this book will broaden your (chess) mind and make you a better chess player and a better human being. Hope the NIC guys quote this, even if I went a bit over the top at the end :-). a) I don’t agree that people talk mainly about spending less time. In fact if you train young players we have to do the reverse: please don’t move so fast as it has no sense to keep lots of time at the end of the game. So the discussion is not about spending more or less time overall but how much time should a player spend on a critical move. WH tells us to get the best results, an inexperienced player should use averagely much less time than a master on a critical move and I fully support him on that (so this doesn’t contradict that more time should be spent on critical moves compared with other moves). Exactly because we can’t say for inexperienced players spending 20 minutes or more will give better results, we can consider the concept of critical moves as less relevant for them while other aspects like spending time on blunderchecking are much more relevant. We should teach players what is most relevant for them. At school we learn at school in physics some simple laws which later are blown away by e.g. Einsteins relativity law. The simple laws had flaws but still were considered the best way to teach us about physics. I am giving this example to explain sometimes as teacher it is better to avoid speaking about some things. c) I think that he gives a lot of credits to other authors as he admits that even in the books which he criticizes, there is a lot of very good material. He is not searching for weak spots (badly written pieces as you mention) in those books but only uses those books to explain some well spread but wrong concepts of how training should be done. I feel sorry that you but also other authors perceive the references as personal attacks. On page 19, 21.Bd1 he is joking with himself as he was the trainer who provided this example to the students. Really? Yes as the theme was of course not about backwards weird looking bishop moves but about recycling bad positioned pieces. However he also pointed out that nothing can beat a clear tactic with Txg7 so making the whole concept of recycling a badly placed piece ridiculous. Concepts always lose from correct concrete moves ! The book is built on articles which he wrote and published himself several years ago (Schaaknieuws). For writing the book, all original articles were carefully checked, rewritten and put in a well considered order to create some consistency. It is simply wrong to state that an article was written without checking carefully first. Your recommendation doesn’t feel sincere. If you state about the author that he likes to make fun of other writers with a portrait smaller than life, slightly ridiculous version of people then I would expect that you don’t recommend the book. If I would feel MFTL is such book like you do then I would never recommend it. For the record. I don’t know Willy Hendriks, have no relation at all with his project neither have any other personal interests. However as I consider training of inexperienced players a serious subject, I do believe that discussing this topic into depth and giving readers a good balanced view is important. Think you have gone to the place of disagreeing with everything I say on principle. The debat is dead then. I take offence by the fact that I cannot love a book of 250 pages and disliking 5-6 things in it. Apparently everything I say is wrong and borderline offensive, and you still find it worth commenting, which proves my point. Can I have the last word please? I think all views are clear and have been exchanged sveeral times by now… I think it’s fair to say that there seems to be a slight difference of opinion :-). I take offense when people are telling me that I need to have the last word while in fact they simply can’t stand that the debat hasn’t gone the way they wanted it to be. I have the impression that you don’t do the effort to read properly my comments. See e.g. my comment 47 where I clearly agreed on some of your points. However isn’t it normal in a debat that things are discussed where there is no agreement. I see no point in discussing things which we agree (which is likely the majority). In a debat both sides are making a case and try to defend it while refuting the case of the other one. If somebody whipes all your arguments from the table then this can be perceived as personal attacks but for me this process is inherit of a debat. I am not so sure that my view is fully clear as it is really difficult to explain in words. I believe some graphics would better explain. Thinking about graphics, I remember in MFTL there is a graphic explaining the view of an inexperienced player on page 124 how many critical moments there are in a game. WH didn’t make a graphic for a strong master (the published graphic was for most players so likely not for the few % very strong players). I am pretty sure that the graphic would look very different with much more moves with a very low complexity. A recent extreme example of a grandmastergame where very different spending of the time happened compared with games played by inexperienced players, was Giri – Caruana (fide GP in zug) where Giri used 1 hour on move 31 while having spent little to nothing on his previous moves. There was nothing wrong with the timeconsumption from Giri but please don’t teach this behaviour to inexperienced players. Kindly asking if you can tell something about “Playing the French”. Your psychoanalysis of me has gone far enough I think. But it is true, I really would rather discuss chess. Why do people always want to make it personal? You can have your views and I can have mine. Just please dont think you can dictate my views or their motivation. I continue to say that a text means what it says and you mean that the idea of critical moments are harmful to u2100s, which really neither of us can determine for sure. I would welcome a serious investigation, like we take 50 games from a 2000 and from a 2500 rated player and see how many critical moments there are. But at the moment I have work to do. Well I assume that you will be surprised but I agree that we can’t determine for sure if learning the idea of critical moments is harmful to u2100s. To have a serious scientific proof, you have to set up a massive and very expensive project in which one large group learns the concept and the other large group (preferably the same average rating) doesn’t learn the concept. After the teaching, their gameresults are followed up for a number of months in the assumption there is no interaction between both groups. Fair to say, such project is impossible. Defining the number of critical moments is neither a possibility. There is no way to scientifically define a critical moment. Every player will have its own definition and one characteristic of a good investigation is that it can be reproduced by anybody. Only thing which remains, is to look at the number and seriousness of the errors made in a game. This can be scientifically checked by testing against a commercial topprogram. No need to do this investigation as we all know that the number of errors made by inexperienced players is much higher and also the errors are averagely much bigger. Now I do believe there is a strong relation between errors and critical moments. In this sense we can also conclude that there are many more critical moments for inexperienced players than masters. I have interesting points to make (and obviously you would have counterpoints), but as this is the kind of last word I was hoping for, I think we can end this debate here before we are the only two readers of this blog :-). The only think i didn’t like in this debate is Brabo’s statement that Jacob is insincere about recommending a book inside which he finds things that he disagrees with. I have great respect for both Jacob and Brabo (who probably still remembers our major debate in chesspub 2-3 years ago) but i think that this one was Brabo’s major fault because he is clearly wrong. You cannot call someone insincere for this as it has happened to all of us to think that a book is generally good but in it find some think that you clearly dislike. For the record, i reviewed WH’s book in the Greek Federation monthly magazine and i was much more negative than Jacob, but i still gave it 5/7 and recommended it to the readers, at least because it has nice material for training and because it starts and interesting discussion. Anyway, as Brabo is a knowledgable person i’d like to ask him his opinion about the Van Defts’ book “Developing a Chess Talent” which i like much more than WH’s book MFTL, although i find it a hard-to-read book. @Waldorf: Close to be finished! Nikos Ntirlis, we both know that it sometimes can take a lot of time before there is an understanding. I also understand that spending such amount of time to discuss in depth a complex item, isn’t what everybody can do or likes to do. It is certainly not ideal to close this debate now as it leaves things hanging but we will move on of course. I am not going to take your critic about my answers serious as we both know that Jacob is your boss. I find it completely natural that you come up for him. I found some errors in MFTL (as mentioned on my blog) but I’ve not the impression that they diminish the value of the book. I am personally no fan of giving points to books as these points are often too subjective (never done on my blog). On my blog I didn’t recommend the book to everybody at contrary I believe the book can harm a lot of inexperienced players (strange yes but logical if you read the full blogarticle). For me this book is in the first place meant for trainers or people writing about training. I’ve not read Van Delfts’ book “Developing a Chess Talent”. I thought Van Delft and Hendriks are quite close so likely influencing each other. As I liked MFTL, maybe indeed I should also once read Van Delfts book. I read about 8 books written by Dvoretsky in the School of Chess Excellence and Future Champions series. He is good writer, but mostly he is lamenting about things he finds useful and which were previously used in some lectures he gave. Also the articles by invited authors doens’t seem so educative. I want to say that he is in bigger part a philosopher, and not instructor. Cause of that I find much more useful Yusupow’s book from “Tigersprung” series, and Jacob’s GM Preparation. One has to train constantly, because with only the high theory you shall not go enough high on the rating scale! What do you guys think about my impression, and what do you suggest? I thought that School of Chess Excellence and Future Champions series is the same thing. Just published by other authors and corrected by Dvoretsky the second time (the Olms books). These books are suited for 2200+ players. Also Dvoretsky’s Analytical Manual is of the same philisophy. I don’t think that he can be described as a philoshopher and not an instructor, but of course Jacob knows him better and he is more qualified to answer to your question. Amongst all this, I have to say I have appropriated the €29,99 or however much Playing the French costs for pre-order, and contemplate the variations each day since last year. Hopefully it still stays for June. Jacob, in your forthcoming book “Thinking Inside the Box” you will give us only a text, or there will be also exercises included just like in other books from the series, let’s say around 200? Bvery limited amount of exercises. The two Dvoretsky series you mentioned have different authors (D vs. D&Y) and one is meant for the improving player. Dvoretsky is on a publishing spree. He pushes out a new German book through Yusuopv’s shop ca. every 6 months. The last 4 aren’t available in English yet. 192 Seiten, gebunden, 1. Auflage 2012. 192 Seiten, gebunden, 1. Auflage 2013, Erstauflage 2013. – Aagaard: GM Preparation – Attack & Defence, HARDCOVER. Published by Russell: The Analytical Manual. Mark is a close friend and in many ways my mentor. We did talk about us doing something with him at some point, but I am actually really happy that we did not find agreement. I prefer to have a friendship with him rather than a business relationship. It is much more rewarding. With some people you can have both, but with most inevitably the business becomes the main part. We plan to have one up this coming week. I also anticipate those books, but before all, definitely the first of the aforementioned. I am especially interested in the line 1. e4 e6 2. d4 d5 3. Nc3 Nf6 4. Bg5 Be7 5. e5 Nfd7 6. Bxe7 Qxe7 7. f4 0-0 8. Qd2 c5 9. Nf3 Nc6 10. dxc5 now either 10…Nxc5 or 10…Qxc5. I am not worried too much by the Alekhine-Chatard Attack though, this line is probably the most critical. This is not the way the cool guys play this line! But I thought that was the main line of 4…Be7? I suppose one can add in 7…a6 earlier, because I usually see Black play …a6 eventually. But still I thought that plan/set-up was the main line. Unless, of course, you are referring to a plan with …Nb6 or …a6/…b6? I saw games with that looking at the database last week, but I am not sure if that set-up would be in the book..
7.f4 a6 8.Nf3 Nb6 is our line. We find it interesting and clearly it is modern. Hi Jacob! I suppose John’s books will be a grandmaster guide series, like Lars books 1.d4. What is the major difference between grandmaster repertoire and grandmaster guide? “The puprose of the GM Guide series is to provide a sound repertoire for the club player. We are trying really hard to succeed in this after 3.Nc3 Nf6 and so far i don’t see theoretical problems for Black in the sense that White doesn’t achieve a stable “+/=” with limited chances of counterplay from Black. This is a quote from N. Ntirlis on chesspub forum while discussing the french book guide. In a GM Guide you get what you need to know to confidently play the opening. In a GM Rep you get “the truth”, even if this sometimes means excessive details and 3 pages of analysis for a single move. I am quite unfamliiar with that particular set-up, but I suppose it could be interesting as a change from the old main line. Upon looking at the database, I see that Korchnoi played it before. I did not know much about 9…c4 before GM11, but now many do. So perhaps a pleasant surprise. A guide is game based, meant not to cover everything, but be readable, inspirational and easily applicable. A GM Rep is more academic and can put greater demands on the reader’s ability to memorise lines. Having said that there is of course a great deal of freedom within the two formats. This was what interested us anyhow. I have a strong feeling that 3…Bb4 is the strongest move objectively, but 3…Nf6 is fascinating too. The two moves seem to be different in terms of style instead of strength. I am not sure if either is better or worse, but it might be similar to 6…e5 and 6…e6 in the Najdorf. They seem simply different. Within 3…Bb4, I honestly do not feel comfortable playing the Poisoned Pawn Variation. If not this, then there is 7…0-0, or the other sidelines like 6…Qa5 or 6…Qc7. A prepared opponent who has spent weeks on computer analyses on 7…cxd4/7…Qc7 I do not feel comfortable playing that line against him/her. With 3…Nf6 at least one can play the main lines without the insanity of those lines. 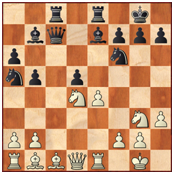 I usually try to play the French to avoid the usual craziness of the Najdorf when necessary. That was actually one reason why I had problems with 1. e4 right before I switched to 1. d4. I tried to play the Open Sicilian, including the 6. Bg5 Najdorf, positionally, and usually failed. I see players such as Short and Andrés Rodriguez have played it recently as well, so perhaps this is a new line. It reminds me of a type of English Attack against the Taimanov. Maybe it will be like 6…Nbd7, the line will arise from obscurity into popularity? I’m a bit confused now. Always thougt “Analytical Manual” was published as “Universität der Schachanalyse”. Are the books from the Jussupow-Verlag a republishing of the same material under a new name and split into three books? In the end…it is the critical moves in critical positions that determine games.